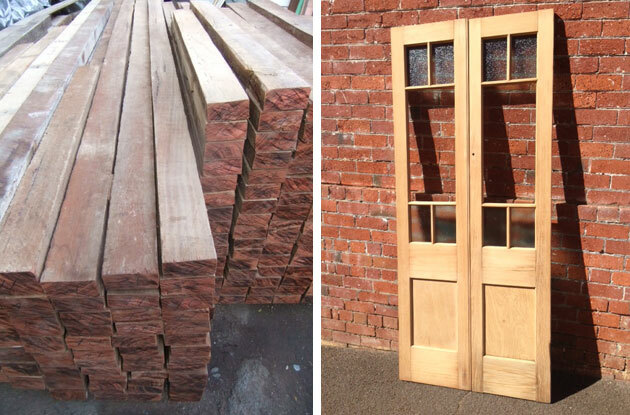 View detailed photographs, measurements and prices online. 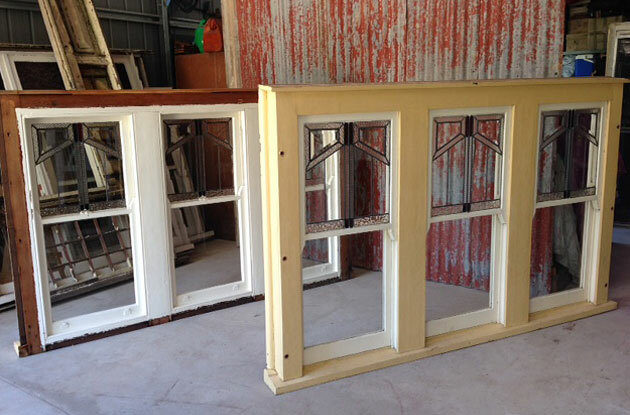 This hand picked salvage collection is a must-visit resource if you’re renovating an old house or searching for heritage building materials anywhere in Australia. Bendigo grew around one of the richest gold fields in the world in the mid 1800s and an enormous amount of wealth poured into housing and public buildings in gold rush areas. The region is still a rich resource for historical salvage and Christian Bloomfield, drawing on 15 years experience as a demolition yard manager, is quietly building up an extensive collection of period treasures. 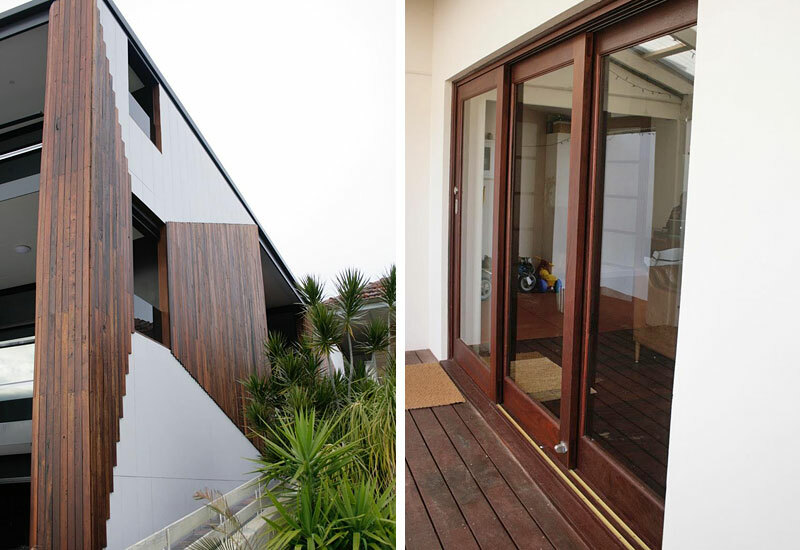 Renovate Restore Recycle specialises in house demolitions, strip outs and heritage home renovations so you can expect some stunning rescues. 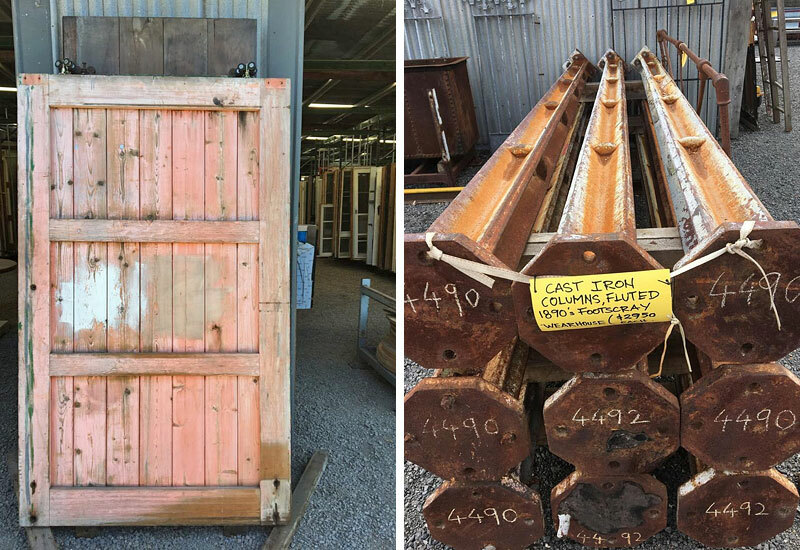 While Christian waits for a good site for a public salvage yard, the best finds are listed on the Renovate Restore Recycle website with plenty of photos. 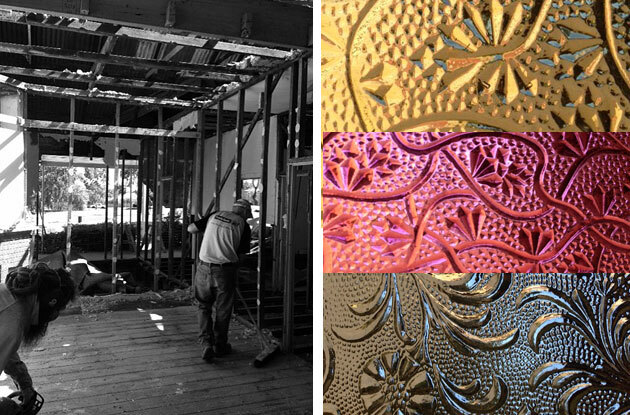 Pieces can also be viewed by appointment at their Bendigo warehouse. 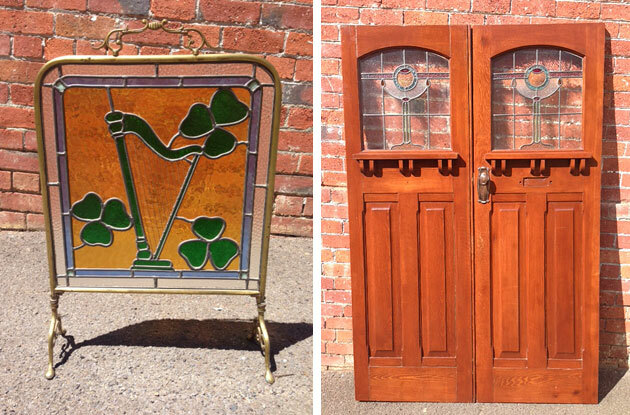 The hand picked selection includes original French doors, leadlight doors and windows, pressed metal sheeting, sash and casement windows, doors, mantle pieces and cast iron fire inserts, lighting, denailed recycled timber flooring, structural timber, cast iron baths and basins, vintage hardware, bluestone window sills and curious odds and ends. 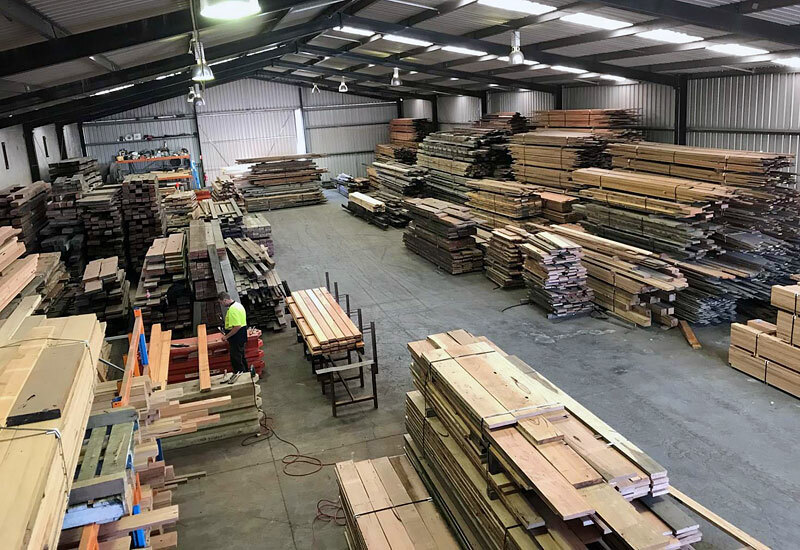 Christian hates to see good materials wasted, and has built up some great contacts in the transport industry, so he’s happy to send stock interstate at reasonable prices. 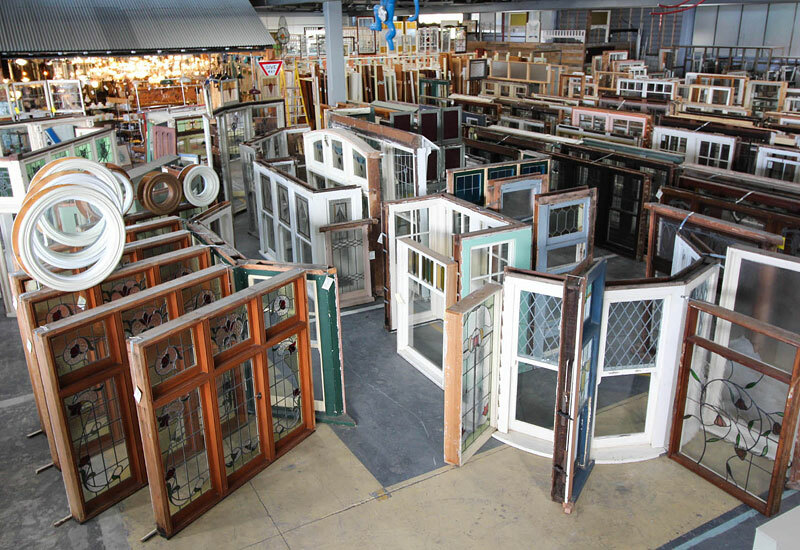 Many salvage yards don’t offer the convenience of online browsing so hop onto the website and take a look. I’ll be surprised if you’re not tempted. Also in the Goldfields region: The Salvage Yard, Dunolly Demolition and Salvage, Bendigo junk yard.